Even for short, interstate trips, planning for travel is instrumental to the success of your trip. Wherever you’re planning to travel to, there is often a lot to think about, even if you’re only travelling to the next state over. However, you don’t have to get too stressed out before you set off. Whether it’s for business or pleasure, keep these points in mind for a smooth trip interstate. Even an interstate trip may require important documents to be kept on you at all times. Depending on your mode of travel, you may have flight itineraries, tickets and booking information for your hotel or important phone numbers that you need to be keep on hand. By having small folder that contains all of this information, as well as personal identification, you’ll always know that you have the right information in the right place. Losing crucial documents whilst travelling can be highly inconvenient, so knowing you have everything in one place can be a huge stress-reliever. If you’re flying interstate, you will have the option to pay for luggage, but you will also be able to bring carry-on luggage with you on board the plane. In your carry-on bag, anything you might need or want during your flight should be stored here. You might keep an eReader or iPad in it, a charge cable, headphones or a camera. It’s also ideal to keep a change of clothes and any essential medications in your carry-on in the event that your luggage happens to go missing or is delayed. 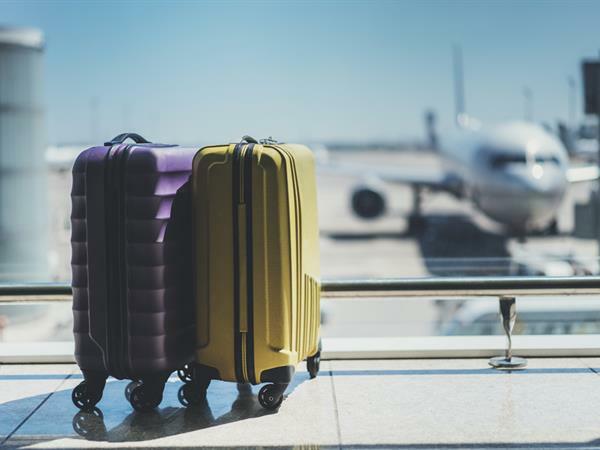 Keep in mind that most airlines – especially those that fly interstate – have strict rules when it comes to bag size restrictions and weight, so be sure to pay attention to this when you’re packing. If your luggage is over eight years old, you may want to consider investing in a new suitcase or luggage bag. Most new bags on the market are made of lighter materials that are also tough and durable, meaning that you won’t have to waste any of your weight limit on a bulky, heavy bag. Along with this, newer bags have optimised compartment and storage capacity to make the most of the space, and many also come with built in TSA locks. You also want to ensure your bag has appropriate handles and wheels to make it easier on you to move your luggage around. A suitcase with dodgy wheels will certainly give you a harder time when moving around airports and your destination. When packing, select clothes in the same colour family and choose a variety of tops and bottoms that are interchangeable. Depending on what you’ll be doing, for a 4 day trip you’ll usually need 4 shirts, two pairs of bottoms, one jacket and two pairs of shoes. Opt for knits, wools, and cottons as these fabrics are versatile and tend to resist wrinkles best. Keep in mind that different states can have varying temperatures and climates to consider. Roll all of the softer garments such as t-shirts, cotton pants, underwear etc and layer them on the bottom of the bag alongside your shoes and toiletries. Then fold stiffer items like jackets and dress pants over the top. Rolling your clothes up means you can usually fit more in, plus they are less likely to get wrinkled in your bag. If they do get a little crinkled when rolling, a steamy bathroom at your destination with the clothes hanging, then a dry-off with a hairdryer will be enough to give them a fresh ironed look. Footwear can take up a lot of room in your suitcase, so avoid bringing too many pairs of shoes and only bring the essentials – 1 casual pair and 1 dress pair should be enough. Depending on the kind of trip you’re planning for, you may need to pack some food with you. If you have special dietary requirements, checking ahead of your stay whether there is food available for you will be a good way to determine if you need to bring anything along. If you are are particular about decaf tea or the brand of coffee you drink, bringing a small sample with you may be ideal. If you're heading out on a camping trip, dehydrated food packets will help reduce the space required for your food needs and a packet of trail mix is also ideal for emergency situations if you’re thinking of hiking or getting away off on the beaten track. It’s amazing how many people forget to bring basic toiletries with them. Although many hotels and accommodations provide basic toiletries, it’s always ideal to bring your own. If you’re particular about skincare or hair products, bringing smaller versions of your favourite items also ensures that you’re using items that you actually like. Along with a toothbrush, toothpaste, floss and mouthwash, other items to bring along include your hair brush, shampoo and conditioner, sunscreen, make-up, face wash, moisturiser and personal hygiene products. You may also need lip balm (for those changes in weather), and don’t forget to pack any medication you may require. An empty house or apartment is an obvious and tempting target for criminals. Depending on how long you’re away for, potential thieves may notice your disappearance, so it’s essential that you take precautionary action to keep your home safe while you’re away. If possible, have a friend or neighbour come by every couple of days to collect mail and switch on the lights for a while to give the appearance that your home is being lived-in. If you don’t have anyone to do this for you, ensuring mail doesn’t build up in the letterbox by using a mail delivery service (such as holding mail or redirecting it to somewhere else for a while) will help to keep your letterbox free of clutter. You may want to keep a light or two on, or if possible, invest in a light switch timer that can control your lights automatically according to a programmed schedule. Even if you’re only going away for a couple of days, interstate travel should still involve some level of planning. There’s a lot to think about before heading off on a trip, and depending on where you’re going, whether it’s for business or pleasure, there will be certain items to pack and things to consider back home. By following these tips, you’ll have a safe, sound and organised journey that will be one less stress on your mind.